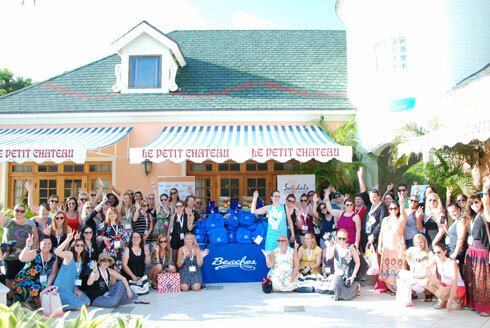 The 2014 Social Media on the Sand event held at Beaches Turks & Caicos Resort Villages & Spa last weekend did more than allow the affectionately called “mommy bloggers” to enjoy a wonderful weekend in the Caribbean filled with breathtaking photos. The event showed their humanitarian side as well. The social media fan trip members took the time to embrace the philosophy of the nonprofit organization which provides travelers with information about needed supplies for community projects at lodgings and tour companies worldwide. In the five years since the organization got started, travelers have brought more than 57,000 pounds of supplies to more than 400 locations worldwide. 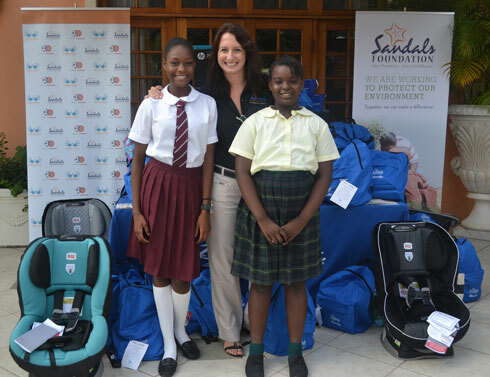 The Turks & Caicos Islands was no exception as just over 300 pounds of supplies were presented to the Sandals Foundation and its Director Heidi Clarke on Saturday, Oct. 18. 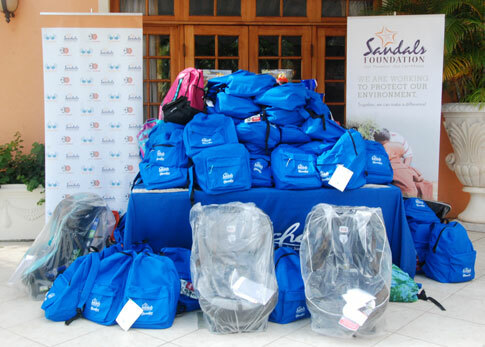 The Sandals Foundation is the philanthropic arm of Sandals Resorts International. It is the culmination of three decades of dedication to playing a meaningful role in the lives of the communities where they operate across the Caribbean. Mrs. Clarke was blown away by the generosity of the participants. During the breakfast session, she thanked them profusely and gave a PowerPoint presentation on the work done by the Foundation. Adding to the event was the attendance of two local students who would benefit from the worthwhile donations. The two young ladies thanked all the moms who ‘Packed for a Purpose’ by singing a moving rendition of Whitney Houston’s chart topping hit “The Greatest Love of All” much to their delight.